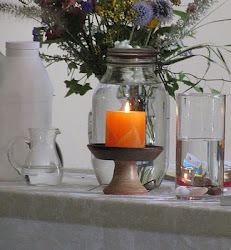 UU A Way Of Life: First Pinciple Study Group - Class four - What makes you tick? First Pinciple Study Group - Class four - What makes you tick? This is the fouth class our of eight in the First Principle Study Group. In the first class we talked about the meaning of the concept of Atonement. In the second class we considered Fall/Redemption theological model as compared to the Creation Spirituality model. In the third class the idea of the witness rather than the body, the mind, the emotions, the social status as being the object we call the person was described. In this fouth class we shall consider what makes a person tick and the idea of differentiation. If you ask most people, "What makes you tick?" They not only can't tell you, they have no frame of reference to articulate a coherent story. In this class we will consider two ways. 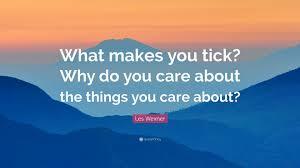 The first way to answer the question, "What makes you tick?" is to reflect and write down the ten most important things that have happened in your life to make you the person you are today and the way you view the world. Irvin Yalom, the Existential Psychiatrist, calls them "criticial incidents." They could be big things or small things. They could be good things or bad things. They could be things which at the time they occured you knew they would be critical to how you view yourself and the world or perhaps you didn't realize this until some time later. Make your list and discuss it with someone you trust and is interested. It sometimes is helpful to do this again a few weeks later and you will find that a core list of things stay on your list while other things may change. A second way to answer the question is to consider your psychological legacy. This psychological legacy is made up of the values, beliefs, opinions, and practices which you grew up with in your family of origin. This is often described as (surname) way of doing things. Usually these values, beliefs, opinions, and practices are unconscioius and we often believe that other people share these same values, beliefs, opinions, and practices. We often don't consider our psycholgical legacy until we have, or think of having, children of our own. Will we raise them the same we were raised or will we raise them differently? Some of the values, beliefs, opinions, and practices may have been good for us and we want to pass them on to our children or, perhaps, we consider some of the values, beliefs, opinions, and practices as being unjust or abusive and we said to ourselves, "I am never treating my child, the way I have been treated." Whether we keep the values, beliefs, opinions, or practices or change them, we have made a conscious decision and have taken what Dr. Murray Bowen, a pioneering family therapist, calls a "differentiated position." How are we different from our family or origin? Are we our own person who stands on our own two feet, has a mind of our own, is captain of our own ship, and master of our own fate, or are we just going along with the herd? Becoming aware of our psychological legacy, and making choices about it, gives us tremendous power to create our own life and live with integrity. Bowen said that we could put "differentiation" on a 10 point scale from 1 to 10 with Jesus and Buddha making it all the way to 10. Jesus and Buddha were enlightened human beings, fully realized and actualized. Most of us never make it much past 5. Consider your psychological legacy. What were the rules and roles that governed the expression of the primary emotions in your family of origin: mad, sad, glad, and scared. Have you kept these methods of emotional managment or have you changed them as you have matured? How did your family do forgiveness? Gratitude? Anger? Love? To what extent do you agree that an unexamined life is not worth living? To what extent do you think it is a good thing that people know what makes them tick? Should self knowledge be a part of our schooling curriculum? Should adults be encouraged to examine their lives periodically and report the results of their examination to someone? 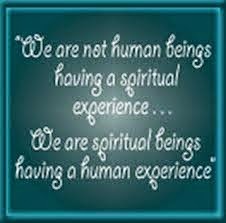 To what extent is self knowledge and important part of spirituality?